Document Storage - Citizens Transfer & Storage Co. Inc.
Every family’s moving needs are unique. Citizens Transfer & Storage is here to help. Trust Citizens Transfer & Storage to turn your overseas move into an adventure you’ll remember for all the right. Although businesses sometimes have room to store inventory, the more economical choice usually is a commercial warehouse. Document Storage, Certified Destruction & Shredding. Records storage is a critical concern for many businesses today. Important records that are no longer required on a day-to-day basis must be stored in a clean, secure environment where they are readily accessible. Storing old records in the office is expensive and puts the job of records control and disposal in the hands of staff who may not have the time or skills to do it properly. Instead, many companies entrust this critical function to Citizens Business Archives (CBA), a division of Citizens Transfer & Storage Co., Inc. CBA is one of the largest business archives warehouses in southern Arizona. This 18,000-square-foot facility is contained within a fenced compound. The building is fire protected and access controlled to ensure that only those with proper authorization examine or remove a company’s records. CBA also picks up and delivers records at the customer’s request. The records inventory is indexed on a computer system that uses a state-of-the-art bar-coding process to identify individual boxes, or, if necessary, specific records within a box. CBA also sells storage supplies, including special boxes for medical x-rays, and offers certified records destruction. Tired of being squeezed by your records? Relocating families locally across the street or across town involves more than just hiring a moving company to transport the household belongings. Usually there are special concerns that must be addressed. Worry-free relocations take planning, special equipment, and highly trained professionals to handle every step of the process. Citizens Transfer & Storage Co., Inc., has been successfully moving families across the street, across the nation and around the world for more than 100 years. 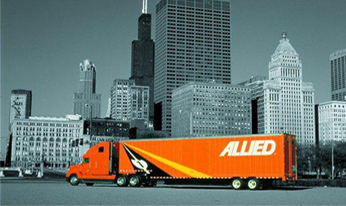 We are an agent for Allied Van Lines, known as ’’The Careful Movers” because of the professional way we approach each assignment. Citizens Transfer has a staff of specially trained moving counselors. Before each move they create a logistics plan that includes packing, special handling of fragile or bulky items, and details like optional valuation coverage. Once the move has started, we monitor your Shipment throughout loading, transportation and delivery.